The day after Thanksgiving has become known as “Black Friday”. It is a day when millions of shoppers hit the stores for the opening day of what has become our commercialized, gift-giving, Christmas season. A day when thousands of soccer moms and urban dads who would never think of going afield to harvest any kind of living creature nevertheless prove that they are instinctively HUNTERS. . . . Think about it. By the time the rush to the stores has started, folks will have spent hours scouting sale ads for the best place to find their quarry. They will compare and plot their hunting strategies. Then, rising hours before dawn, they will be the first to be in the best spot at legal shooting, oh, er, shopping time. Once on their chosen hunting grounds, they will stalk the aisles and shelves looking for just the right “game”, not too big, not too small, just the right color, easiest to take with the least investment of energy or other resources. After dressing and bagging the prey, it will be dragged back to the mini-van or SUV. At the end of the day, they will gather with other hunters, er shoppers, to show off the game bagged and swap stories of those that got away. In fact I find it silly that so many in our modern world deny that they are in fact hunters. It is even sillier when some of those deniers want us who are completely comfortable with who we are to forfeit our hunting instincts and rights. 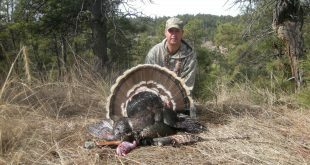 Many pursuits done by those who consider themselves to be more “civilized” are nothing more than expressions of their hunting instincts–shopping, bird watching, treasure hunting (e.g. metal detecting or even geocaching), sight-seeing, photography, traveling, running just to name a few pursuits that are nothing more than the pursuit of “game”. The only thing that differs is what is considered “game”; that may change from person to person, but the pursuit, the quest, is nothing more than the age-old act of hunting. I will not spend “Black Friday” participating in the insanity. No, I will give in to my baser, hunting instincts and head to the water or fields in pursuit of some wild creature with fins, fur or feathers. I will find the pursuit, the act, to be much more relaxing and rewarding than that played out in some mall or shopping center. For those of you still not willing to admit who you are. . . . I do not recall where I learned this, it would have been in some zoology, biology or ecology class somewhere along the way, it was a phrase, a saying, and it went like this: “Eyes in front–made to hunt. Eyes on the side–made to hide”. Before you depart for your favorite retail center, walk to the nearest mirror, take a close look at yourself. . . .